In the past few months I've seen two extra unique ideas made with photo books that were designed as a customized, special gift for the recipient. A friend of mine made a cookbook photo book with many of her mother's special recipes, and she gave it to her brother's fiancée at the bridal shower. This friend's mom had passed away not long before the shower, and I imagine it took quite a bit of love to make this amazing gift. The photo cookbook was such a special way to welcome the bride into the family. It was beautifully done, with pictures of their mom in the kitchen and other photos of their mom with her brother as he was growing up. The second unique photo book I saw was comprised entirely of a child's artwork and pictures of the child. It was given to grandparents, but I know my own daughter would be shocked and thrilled if I made a custom book with her art projects in it. Creating a photo book of art projects is easier than it sounds! 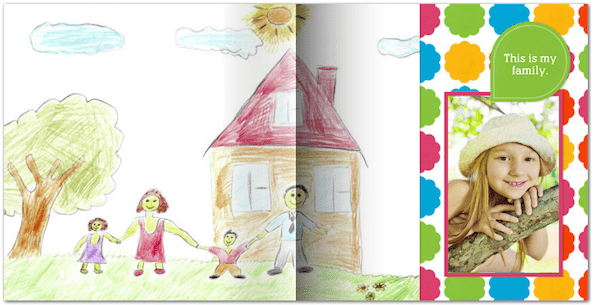 Snap pictures of the artwork with your cell phone and pop them into this easy child's artwork photo book template. Tip: Take pictures of the art projects at different angles and orientations. You can always crop the pictures online if they're too big, but it's nice to have every possibility uploaded and ready to go instead of stopping partway through to take another picture. Once I had seen both of these unique gifts made with photo books, I started wondering how many other gift ideas and possibilities were out there. That led me on a search for various photo book retailers. 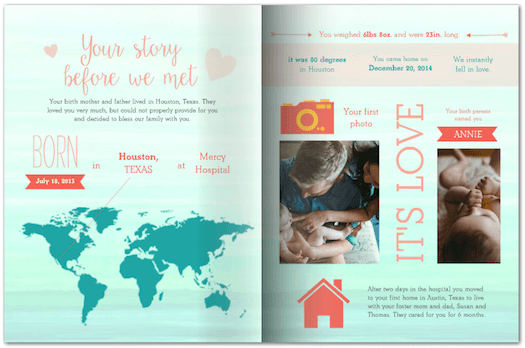 While Shutterfly produces beautiful photo books, I have to say that Mixbook has the best variety of special designs and gifts that can be made with photo books. I also want to say that making a photo book is very easy! I think taking the pictures and choosing which ones to use are both far more difficult than creating a photo book! This is an amazing gift to give to a pregnant friend, but it's also something I would absolutely buy for myself! Father Knows Best – Dad's are often forgotten when it comes to sentimental gifts. 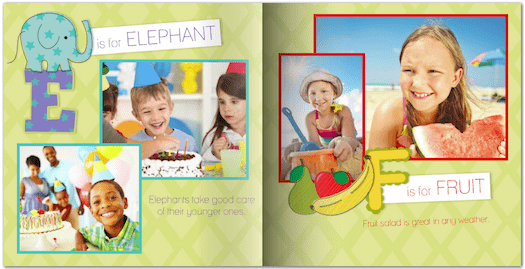 Give him a special photo book full of memories with his favorite little ones! There's also a 10 Things I Love About Dad photo book that would make a fantastic Father's Day gift! 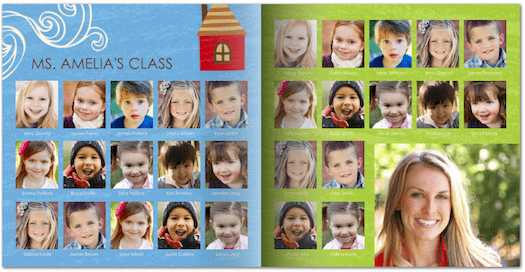 Make a custom story book with pictures of your child, friends and family! 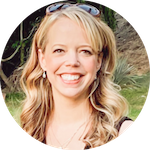 10 Things I Love About You – Valentine's Day, Anniversaries, Christmas, Birthdays and more. 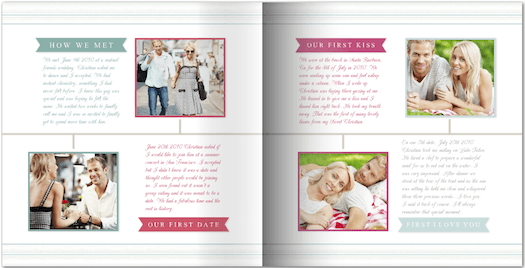 There are so many events you could make this photo book gift for the most special person in your life! Traditional yearbooks are expensive, especially in small quantities. 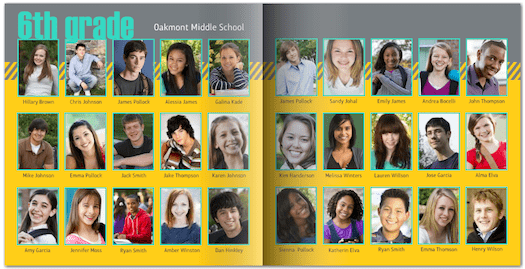 Make something far more personal, more customized and better for your student's budgets! 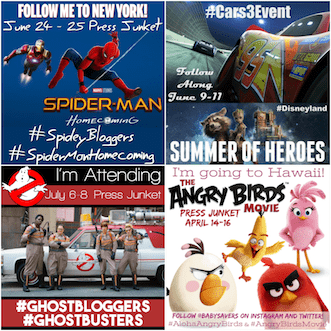 Family Year in Review – Every year is full of memories. 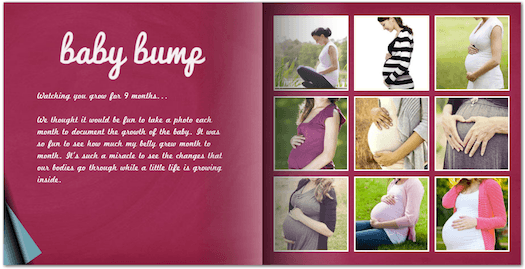 A beautiful photo book is the best way to never forget those little and big moments! What a great way to remember a winning (or memorable) year! 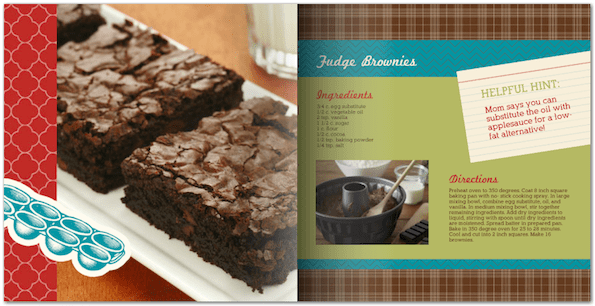 What's Cookin' Cookbook & Memory Book – This is the same cookbook photo book I mentioned above. It's such a great way to share recipes with others! This is like an extra-visual family tree! 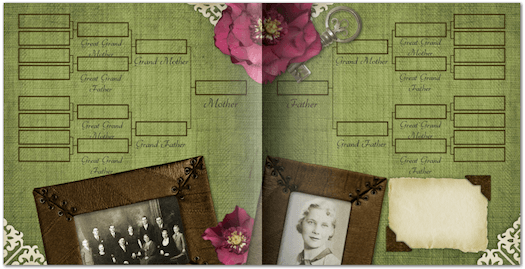 You can mark ancestors with photos or words, and add additional photos to keep your family's memories alive. 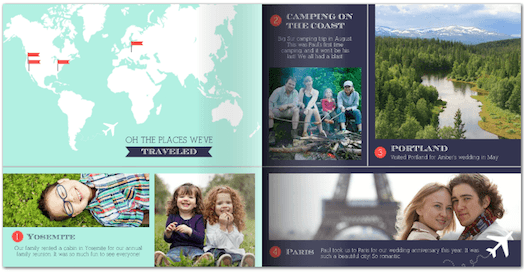 Instagram photo book – You can use a really cool interface to pull high resolution pics right from Instagram and put them into a custom photo book! Having a your wedding guest book made from a photo book gives you something you'll actually want to look at once the big day is done! Baby's First Days memory book – Make this as a gift for grandparents who can't be present for the time around baby's birth. Or Make it for YOU so you don't forget those magical first moments! Time seems to fly while on vacation. Take lots of pictures, make notes if you can, then come home and arrange them all into the perfect souvenir! Preschool is a special place for our children. Capture the memories and make an affordable memento for every family! Our Day at the Zoo memory book – If you took a child to the zoo for a special outing, this book is the perfect way to commemorate the day! Display it at a wedding or keep it private. Either way, it's a lovely way to remember what brought a couple together and what keeps the two together! Arts & Crafts display book – Mentioned above, not only is it a great way to share artwork, it's also a fantastic way to declutter consolidate all those art projects! Adoptions have tons of milestones. 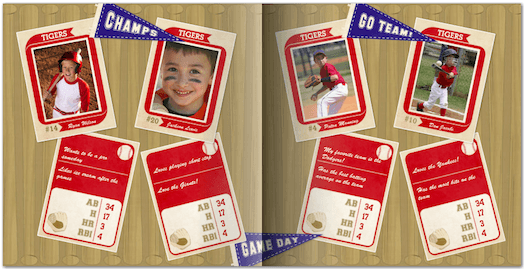 Capture them all in a perfect book to share your story with others. It's also a fantastic way to show the process to your new family member! Photographer's Portfolio – Professional photographer or aspiring talent, this photo book gives you a fantastic way to showcase your best photos. There's a photo book specifically made to highlight the attendees and events of your family reunion. 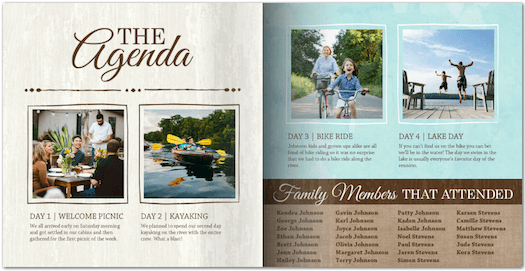 Make one for your last reunion or take a look now and make a list of pictures you'll need for your next family reunion! 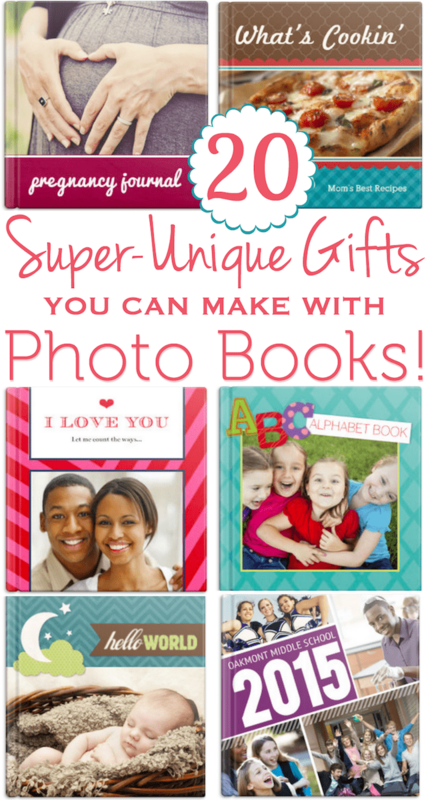 As you can see you can create a unique gift made with photo books for just about any occasion! Which gifts made with photo books are your favorite?